NEW 2019 Honda Pioneer + Future Side by Side Models | BIG NEWS Sneak Peek! 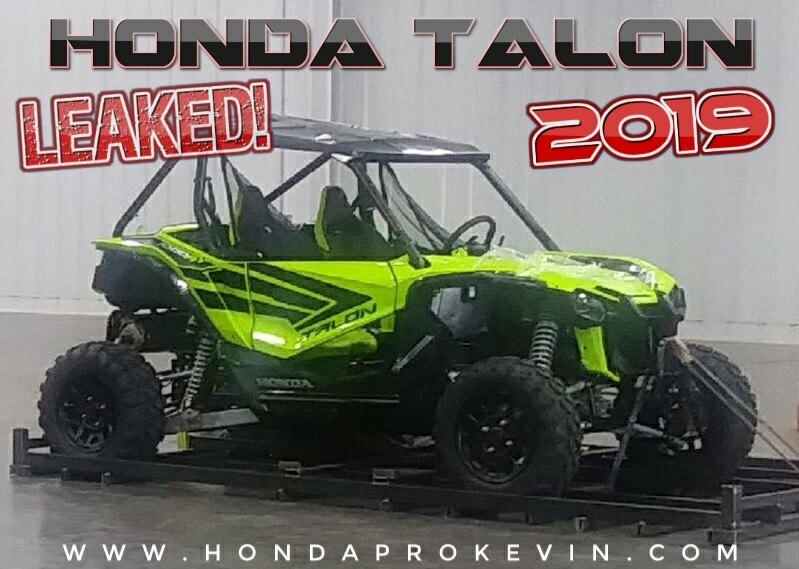 UPDATE | 2019 / 2020 Honda TALON Sport Side by Side Release Date: November 27, 2018! UPDATE: These models will be announced / released right here on July 10! 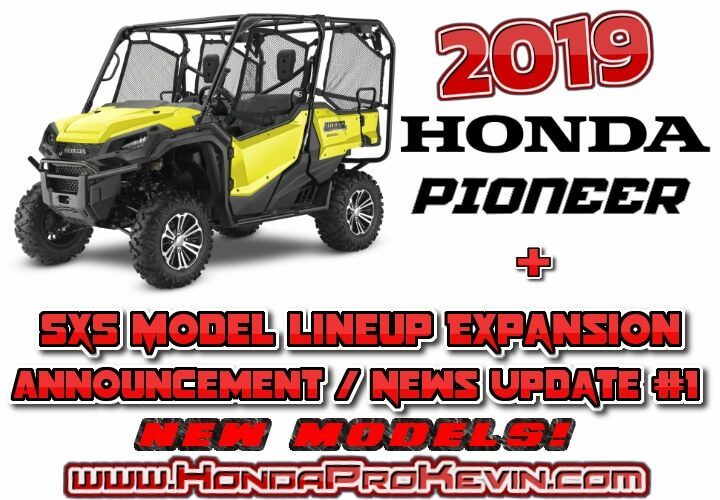 UPDATE: 2019 Pioneer 1000, 700 & 500 Model Lineup Announcement just released! Click Here for more info. All of the 2019 Honda Pioneer UTV models above will be announced on July 10th, 2018. This won’t be the release date for the models themselves as once the information is released in July, those 2019 Pioneer models will start releasing to dealers a couple to few months later. 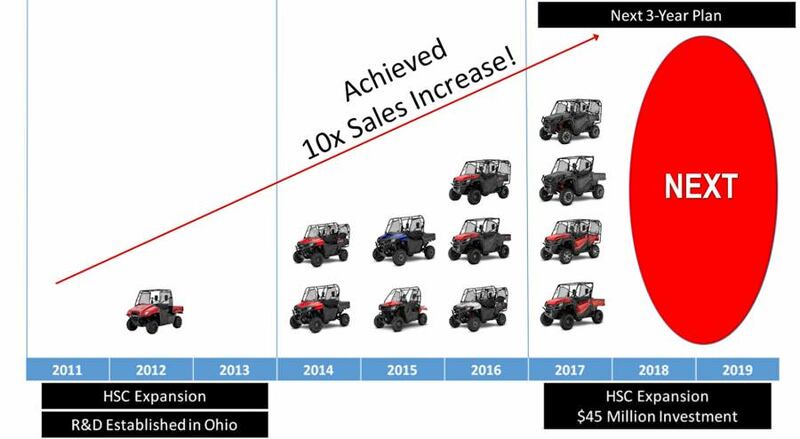 The big news though… Honda has been hard at work getting things ready to expand their SxS / UTV / Side by Side model lineup and the work they have been putting in to expand and offer more models, I highlighted it in this post – Click Here (scroll to bottom of that page). So what do we know at this moment? Honda will be announcing their expanded 2019 side by side model lineup information in November. I can’t say much at this moment but this is one you’re not going to want to miss. A lot of us have been patiently or should I say impatiently awaiting this date for a while and it’s finally come. Once we get closer to November, I’ll be updating the site with more information and the specific date that all of it will be released etc. * Pictures and information in this section below are from this original post from a little over a year ago but is relevant to this new information. Here’s a shot to show you guys what Honda has had in the works (posted originally here a year ago) for their manufacturing plant in South Carolina. They were at max capacity with just the current Pioneer lineup and that’s without even thinking about adding new side by side models. What kind of sport side by side do you want to see Honda release for 2019 / 2020? Do you want to see a two-seater or four-seater SxS sport model? Turbo setup or naturally-aspirated? Honda’s been utilizing turbo technology for many many years and more-so now than ever with their latest round of turbocharged engines in their automotive lineup from the Civic Type R to the Accord and standard Civic plus even more. How much horsepower do you think the Honda Talon sport side by side will need to be competitive against Polaris, Can-Am etc in the 2019 – 2020 side by side / UTV market? * Disclaimer: Everything said in this post is “speculation”.